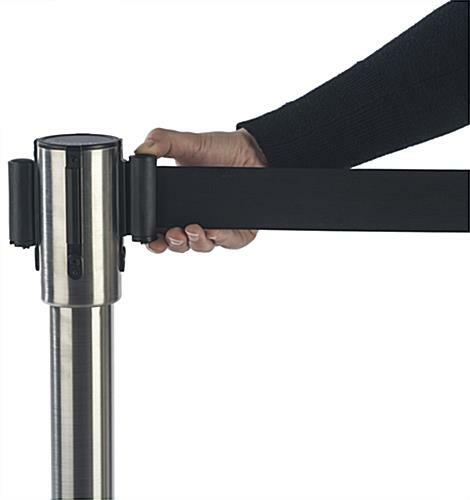 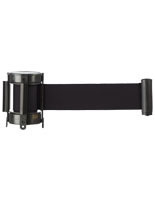 This retractible stanchion, barrier system, with black 6.5' belt, joins the poles together to ensure a sturdy, flowing queue in areas of heavy foot traffic. 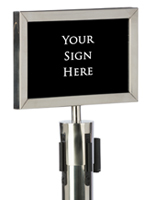 These crowd control accessories are thoughtfully designed and constructed of durable brushed stainless steel. 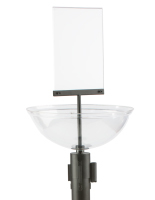 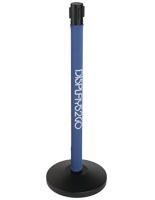 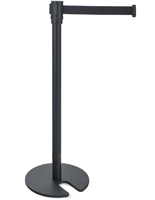 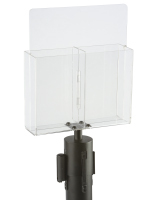 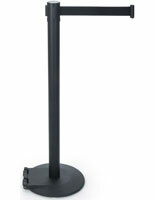 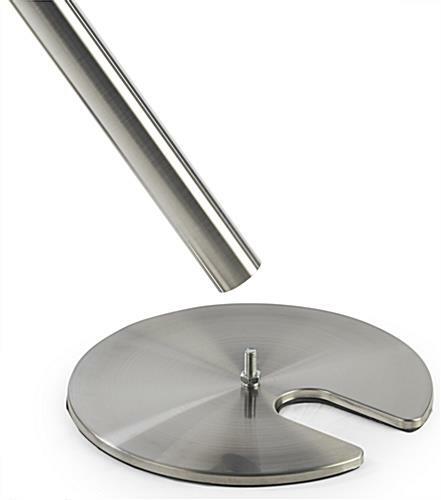 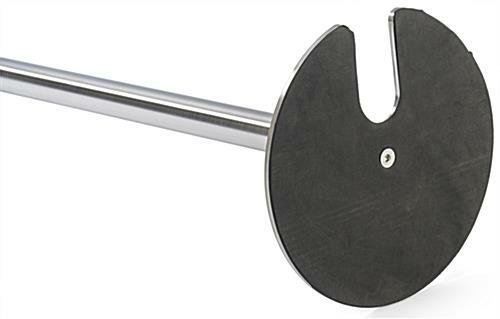 This retractible stanchion is appropriate for hotels, banquets, and restaurants, though has many uses besides. 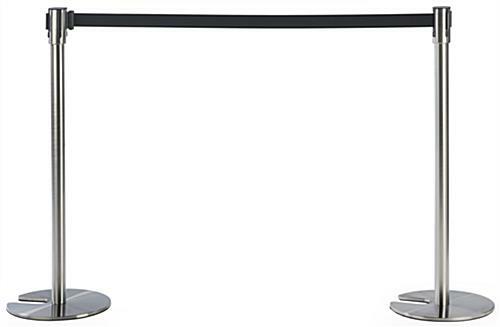 This barrier fixture with belt has cutouts in each post base for stackability, maximizing storage. 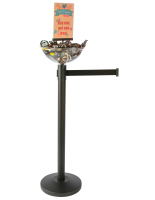 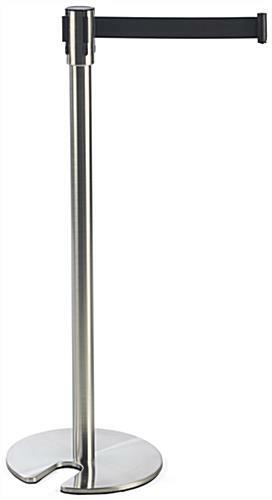 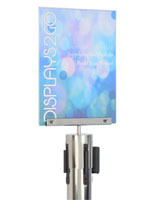 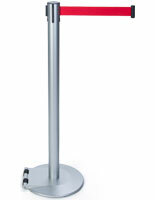 This commercial stanchion is 41"H, and designed to hold up with frequent use.